Are you thinking to manage the slide status of your image sliders? Sometimes when you add a new slide in your slider, you don’t want it to be published right away. In this tutorial, we will share how to manage the new slide status in WordPress sliders. By default, if you add a new slide to your WordPress sliders, it will be published automatically. However, if you want to draft the new slide before it’s published, then we recommend you to use the Soliloquy plugin. 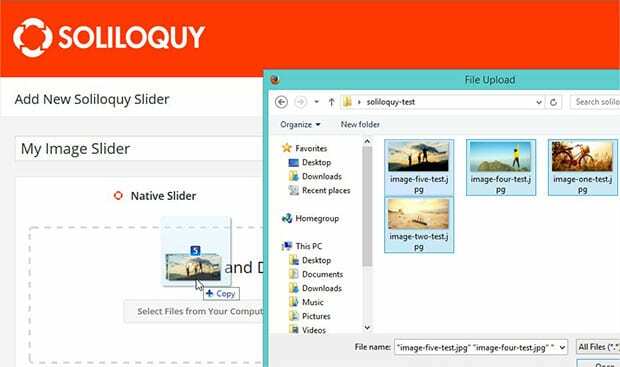 Soliloquy allows you to manage the slide status, so you can add meta information or schedule the image slider. It gives you full control on your WordPress slider needs. The first thing that you need to do is install and activate Soliloquy plugin on your WordPress image site. Wondering how to install it? Check out this simple installation guide to Soliloquy. Upon activating the image slider plugin, you should go to Soliloquy » Add New from your WordPress admin backend. You can add your slides in the Native Slider section. For more slider settings, you should check out this guide on how to create an image slider in WordPress. When you add the slides in the published slider, they will be published automatically. To manage the new slide status, you should go to Soliloquy » Settings. In the New Slide Status dropdown, you can change the status of the new slides in your WordPress sliders. After changing the new slide status to Draft, you can add image slides in your WordPress sliders and publish them manually when you need. If the new slide status is set to Published, then new slides will be published automatically. That’s all. We hope this tutorial has helped you to learn how to manage new slide status in WordPress sliders. You may also want to check out our guide on how to fix flipped or upside down images in WordPress. In case, your images are not ranking in search engines, you should check this ultimage WordPress SEO guide for beginners.